Ferro Alloys Corporation Limited (FACOR) was incorporated way back in 1955 for setting up its first manufacturing facility for production of ferro manganese and other ferro alloys at Shreeramnagar dist. Vizianagaram in the State of Andhra Pradesh. Facor has always looked forward in expanding its activities by taking up expansions at Shreeramnagar plant as well as by setting up and operating industries in other States. 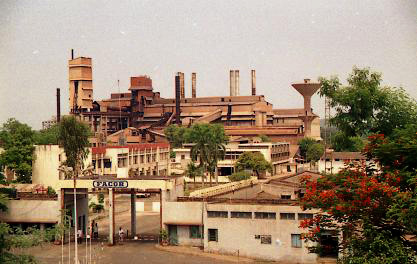 At one point of time FACOR was one of the India’s largest producer and exporter of ferro alloys. Ferro alloys are essential ingredient for manufacturing of Stainless Steel. It exports ferro alloys to several countries like Korea, Japan, Italy, Netherlands, USA, Turkey, China and Taiwan. FACOR group was trifurcated into three independent entities in 2004 under a demerger scheme. Ferro alloys division of FACOR at Shreeramnagar stood transferred to and vested in Facor Alloys Limited (FAL). FAL has the capacity to produce 72,500 M.T. ferro alloys per annum. Stringent quality control for both raw material and finished products is maintained. FAL has been accredited with ISO 9001:2008 standard, which coupled with other control measures adopted by the Company, enables it to maintain world wide status as a producer of quality products.